Reaching out to other web publications and creating quality connections is a key component of the content life cycle. It helps you build your brand, drive traffic, and aids in search engine optimization. Connection creation, if done correctly, is a very white hat approach to the question of traffic generation. Whether you are doing blogger outreach, guest posting, or old fashion public relations you need to know where to start, how to pitch, and some tools to help you scale your efforts efficiently. My goal with this material is to give you a source of information you can use to train your team to expand your connection creation efforts. Let’s start with the meat. The base of your connection creation is going to be your website list. Regardless of how you pitch, the content you create, the list is the foundation of your efforts. You need to be skillful, research oriented, and caffeinated to get this portion of the process right. But once you get it down, it becomes easier, and once you have a list of connections you are holding marketing gold. There are several great platforms out there to help you in the process of connecting with quality websites for guest posting. This portal was built by our CopyPress team, and is brand new. We built it with the idea of making the entire process much easier for publishers and writers. Guest Blog It offers you a premier platform connecting blog writers and blog owners for mutual benefit. Started by Ann Smarty, this is a great place to find bloggers and connect around content. GuestBloggingWebsites is a service to help and facilitate and bring together writers who wish their articles to be published on new and different blogs and websites with bloggers and webmasters who wish new, fresh and additional high quality content. At Fizz Niche you’ll find opportunities to guest blog, tools to find guest bloggers for your sites and even a blog about guest blogging filled with guest blog posts. I personally have been using blogger link up for a long time. It is really great to get the needs in your inbox daily and respond when things fit. One note I will make is that some of these queries will bring you article repositories and directories, which are not something I look for in a strategy. The issues here are duplicate content, and possible anchor text saturation if the article is heavily utilized. Don’t let your searching stop at the Big G. There are niche spots like Technorati that can give you great results, especially in regards to niche-specific blogs. 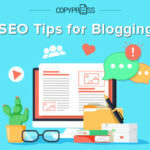 The fall back with these methods is that you don’t know if the blog will definetly accept content or pitches, however if your pitch is strong (a topic we will discuss in a minute), you should see some great success. You can search Technorati on the post or blog level, and once a search is initiated you can further refine your topic. I find it useful to create RSS feeds from important searches and pull them into my reader. Technorati also keeps a list of the most popular tags for the month. 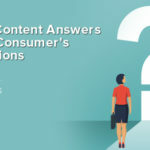 This can be useful for searching for places to post timely content, but it can also give you a good idea about what content might meet a more favorable response in the pitching process. Technorati Authority measures a site’s standing & influence in the blogosphere. With the October 2009 redesign of technorati.com, we’ve changed the Technorati Authority calculations to better reflect the continually changing attention of the blogosphere.We have also added a new measure of Technorati Authority, which is topical by content category, i.e., technology, movies, automotive, etc. How is Technorati Authority calculated? Authority is on a scale of 0-1000. 1000 is the highest possible authority. Technorati Rank is a site’s rank among the Technorati Authority of all sites. 1 is the highest rank. We [at Technorati] also determine topical ranks within categories, based on the topical Technorati Authority. As sites’ Technorati Authority changes over time, ranks will also change. You can see the top-ranked sites in the overall Blogosphere at Technorati Top100 and the top sites in each category in the Blog Directory. For more sites accepting content, you can have this bulk list – organized by industry/vertical. 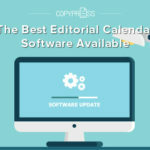 Here at CopyPress we use our own software called Connection Seeker and CopyPress’ Content Engine to manage our process, however before these were set-up, we utilized a plethora of tools to manage our operation. These tools are useful for reaching out to sites as well as creating content, and organizing the entire process. Blog Dash is a tool for managing outreach that boasts connections with over 100,000 bloggers. Group High and Blog Dash work in a very similar space. We have used both platforms, and found Group High to have a better feature set. However, Blog Dash does put an emphasis on working with bloggers to shape what they are interested in being pitched, which significantly helps the process. Rapportive makes it simple to turn your Gmail into a blogger outreach system. You are easily able to see your target’s entire social media life. Buzz Stream, while similar to some of the products above, has been engineered with SEOs in mind. It is still a great place to keep track of all of your outreach work. Raven has tools that make it easy to track your outreach in the same place you are tracking other SEO metrics, so this is a great solution for people that want one login to rule them all. Google Ad Planner is a great free way to find out traffic data for your target websites. It gives more information than Alexa does, but does not have the cost of Compete. One cool feature here is that you can use this product to mine out more website targets by seeing what other sites people visit once visiting the one you are interested in. Alexa’s data is a bit skewed due to it’s reliance on Alexa toolbars for data. However, the product is great for the price point, and also gives you some information on links. Alexa’s real value in my opinion comes in the form of its API, which now gives historic information. Compete can be a bit expensive, but depending on how important competitive research is in your outreach gameplan, it may be worth it. Compete also has a pretty terrific API, but again, price is an issue. I use OSE for specific jobs. The main use I have for this product in terms of our outreach initiatives is that we use MozRank to be one of our guiding metrics for search. For this reason, we utilize the API to assign MozRank to target domains. However, you could use this tool and Majestic below to mine great resources from competitors. There are several things I use Majestic for, but one thing that’s really great about it is the Clique Hunter. This function allows me to find the common links among websites, giving me a nice short list for my outreach. WhoIS information can be really valuable in searching out who owns a domain. At the same time, it can lead to a lot of dead ends. The best approach is to base your outreach on author and editor pages. Ethan Lyon from SEER Interactive created a simple tool for finding Twitter-based link opportunities. It resolves with lists of URLs that are either calls for guest posts, or offering content themselves, giving you some pretty good fodder for outreach. 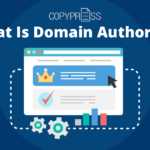 Tom Anthony wrote up a cool tool called Author Crawler that allows you to find all of the authors with active authorship markup on a blog. By utilizing this tool and a Google Plus account you can do a fair amount of target outreach. Whether you are doing direct pitches or guest posting, once you have your data mining and target acquisition steps done it’s finally time to begin pitching. The pitch is the most sensitive part of the entire process. It is much like dating and the wrong first impression can doom everything. Read the blog before you pitch it- People can smell someone being disingenuous; it isn’t tough to spot. Also, you can’t just assume that because a site is in a particular niche, it will automatically match your content or traffic need, i.e. an anti-gambling blog doesn’t want your poker posts. 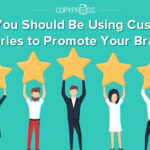 Tell them who you are and what you have done – The reason people want guest posts is to keep the level of content up on their site, and perhaps drive some new traffic. If you can show the publisher that you are someone who can build content that gets traffic you are going to get a lot farther than using a fake persona. Honesty is the best policy – Don’t play games when doing outreach; be upfront. There is no reason to start a valuable relationship based on lies. Create a writer profile – Google Plus makes a great place for this. You should have an online portal that shows off everything and everywhere you write. This makes it easy for people to get a feel for what you can do. Create your content before you pitch – We have found that most publishers want to be pitched a specific post, and not the concept of you posting for them ongoing. You should have a nice cache of awesome content you can use. But make sure the post you pitch matches the blog you are pitching it to. There isn’t a single way to handle a great pitch, but there are lots of ways to totally botch a blogger relationship before it begins. Your end goal isn’t to get a pitched post or idea accepted every time. Your goal needs to be to establish a relationship with every blogger or writer. This allows your list to grow. Mind your grammar and spelling! This is like a job resume, and first impressions will be lasting impressions. Again, some people may see this as a FAIL since she didn’t nail the pitch in terms of placed content or concept. However, she obviously built a rapport with this writer. Never write for the content mills. -The content mill was my internship. -Not lucrative, but does provide experience in meeting deadlines and meeting the needs of a client. -Also is a good introduction to SEO and why content matters online. Steer clear of Craigslist. -Great clients can be posting anywhere. -In my case, it was a retired business owner coming out of retirement to start a new business whose ad I answered on Craigslist. He is still a client today. Have a specialty or niche. -While having a niche is ideal, you can’t become an expert in a day. -Sharing your journey is valuable. -The more you explore, the more unique your perspective, and the more connections you can make between your subject and the rest of the world. Ask permission. -If there isn’t a clear-cut answer, go for it. -It was unclear whether or not I could market my writing as “handmade” on Etsy. But, I went for it and landed several awesome clients. Don’t copy. -The best formulas always work, and you don’t necessarily have to reinvent the wheel to write a great piece. Five years ago, I was an administrative assistant with an English degree. I dreamed of breaking free and getting paid to write. Now, I am a content marketer and copywriter for a software company, with a few freelance gigs on the side. I blog at _____, and have even had a blog post featured on LinkedIn. I would love to share my experience with the Make a Living Writing community. Carol, would “The 5 Writing Rules I Broke Get Unstuck” be of interest to you? p.s. I love the Make a Living Writing blog. Thanks so much for being an amazing resource! Another important note here is that the email also let the writer being pitched that the writer reads their blog regularly. Also a little ego bump works wonders. By the way, congrats on being elected to Newburyport’s city council! Even though I live some two-thousand miles away on the other coast, just want to say I dig local politicians… I feel they’re the only politicians who actually get stuff done. Note again the email writer “Mike” shows Ari that he is familiar with his work. This is really important to bloggers. They don’t want to feel as though they are a part of a list. Here is a list of things you should NEVER do when reaching out to people, for any marketing purpose. You must NEVER offer to pay for or compensate the publisher with forms of cash advertising, sponsorship, paid insertions, product samples or any other types of compensation. Pitches should NEVER state “I am reach out to you on behalf of [Client Name].” When you are establishing a relationship, as noted above, this will automatically have the publisher default to feeling as though they are being used. Transparency is important in a relationship, but a relationship must exist first. Initial outreach emails can NEVER involve offers of money or other incentives/forms of compensation. If you do this you will end up being some bloggers main source of traffic for the next three weeks after they out you and your client for being unethical. If a blogger rejects a post or does not respond to a pitch it is in your best interest to follow-up once and let it go. Cyber stalking bloggers isn’t going to help your image. I like to use Google Analytics as my primary tool for analyzing the ROI of guest posting and blogger outreach. The reason for this, is that I can analyze the direct traffic benefit and secondary traffic benefit based on publication date with ease. Rankings for search engine optimization are not analyzed on a post by post basis on our end, because this is putting a granular focus on work that has little value or evidence. Click “Advanced Segments” button in the report you want to create a segment for. Include/Exclude – Simply decide whether you want all of the data from a dimension or to exclude the dimension. Containing/Exactly Matching/Begins With/Ends With – These help define your metric list. Do you want to only show numbers greater or less than a certain amount? Or find all of the websites that contain the word “SEO” in the domain? Text Field – This is where you finish refining your statement by customizing it. For our purposes you will want to create a combination statement where you add all of the domains you have written for. I would name this segment “Outreach” or something similar. This segment will represent the traffic you obtained from outreach. However you could also include goals into this process to filter conversions from the process. Blogger outreach, writer outreach, and guest posting are just tools in a marketer’s arsenal. They can become a specialty skill set, but rarely do they yield results on their own. For example, we did not cover how to create the content itself in this post. Whether you are performing the task for online pr, social media marketing, or SEO, the results will be there if you follow the very obvious rules of engagement.